The review units of Nexus 6 featured Double Tap to Wake functionality, which was removed by Google in an OTA update before the handset’s public launch. The exact reason for the company removing such a handy feature is still not known. 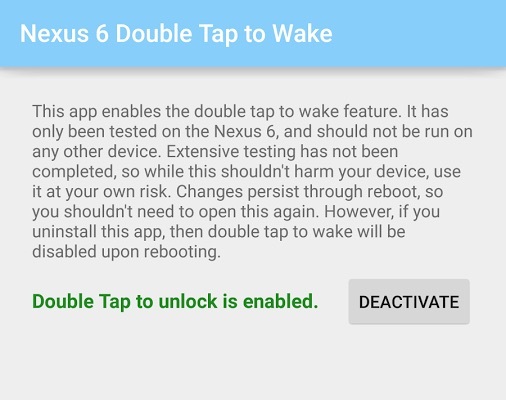 Either ways, developer naxir has created an app that allows rooted Nexus 6 users to once again re-enable Double Tap to Wake on their devices. Do keep in mind that your Nexus 6 must be rooted for the app to work properly. The feature is still a bit unreliable and stops working if your Nexus 6 has been laying idle for a long time. 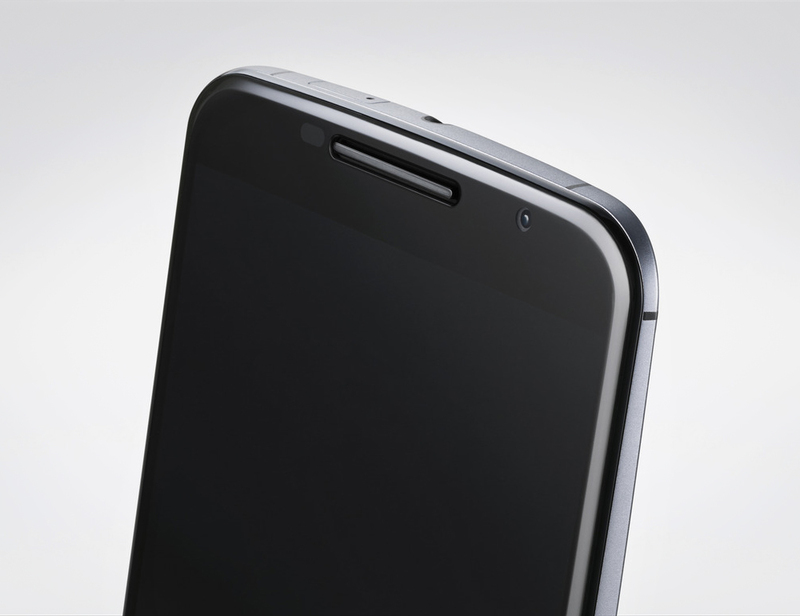 At the moment it is unclear how much of an impact this feature has on the battery life of the Nexus 6 as well. You can support the developer and purchase the Nexus 6 Double Tap to Wake application from the Play Store for a dollar, or alternatively download the APK for free from XDA.